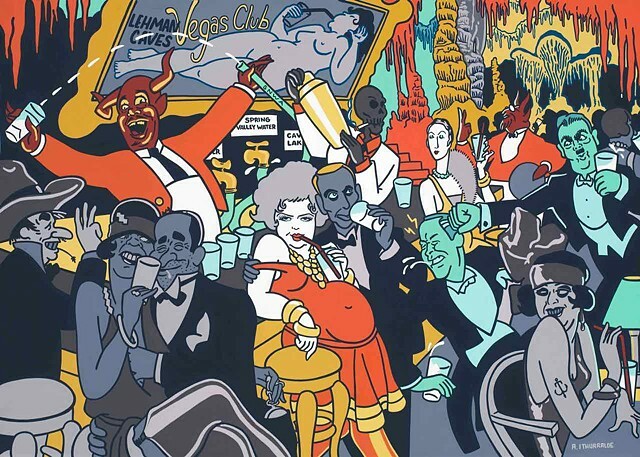 ' The Bar ' painting is number 3 of 7 illustrations in my Lehman Cave/Vegas Club series. This won an Honorable Mention at the Springville Museum Salon in 2015. My satire focuses on the Southern Nevada Water Authorities (SNWA), plan to pump ground water from Spring and Snake Valleys to Vegas.